It explains how Teed Up Travel uses and manages the information of visitors to its Internet sites. Teed Up Travel views the privacy of your personal information as an important issue, and is committed to protecting your privacy when you access and interact with the site. As such, this site supports and endorses the National Principles for Fair Handling of Personal Information, a national benchmark developed by the Federal Privacy Commissioner for use in and across Australia. Visitor logs may be used on this site for statistical purposes only, and no attempt will be made to identify you or your browsing activity. This information will only be used to update and improve the site. Email addresses will only be used to respond to specific user queries and to send information on upcoming golf tours and specials offers. They will not be kept or used for any purpose other than stated. Email addresses will not be disclosed to any other party without your knowledge or consent. This Privacy and Website Notice may be updated from time to time. When you visit the site, the Internet Service Provider (ISP) makes a record of your visits and logs the following information for statistical purposes: your server address, your top-level domain name, the date and time of your visit to the site, the pages accessed and documents downloaded, the previous site visited and the type of browser used. Teed Up Travel does not warrant that the functions contained in the site will be uninterrupted or without error. In addition, Teed Up shall not be responsible for the propagation of computer worms, viruses or other harmful components transmitted from this site and other third-party sites. Figures and/or prices stated on the Teed Up Travel site are generally prices for tour, package or tourism services, such as accommodation, or transport. All figures quoted are in Australian dollars, unless otherwise stated, and include a Goods and Services Tax (GST). 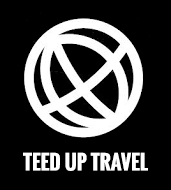 The Teed Up Travel name and logos are trademarks. All rights are reserved for these logos. Where Teed Up Travel offers links to other sites, Teed Up Travel is not affiliated with those sites and has no control over, and is not responsible for their content, privacy practice or other policies. Third-party sites should contain their own privacy notes, and those third parties should be responsible for their own privacy practices. Teed Up Travel welcomes links from other sites.